Last week end, I attended Toastmasters district 59 fall conference in Basel, Switzerland. This bi-yearly event takes place every time in a different city among the numerous continental European countries that belong to the district (Portugal, Spain, France, Belgium, Luxemburg, the Netherlands, Germany, Danemark, Poland, the Czech Republic, Austria, Finland, Sweden and Norway). The main purpose of this Fall conference is to host the humorous speech contests (held in French, German and English), as well as the table topics contests (impromptu speeches) held in all three languages. These finals attract among the best speakers in continental Europe ! I arrived on Friday afternoon in Basel by train, as I took the role of chief judge for the German table topics. 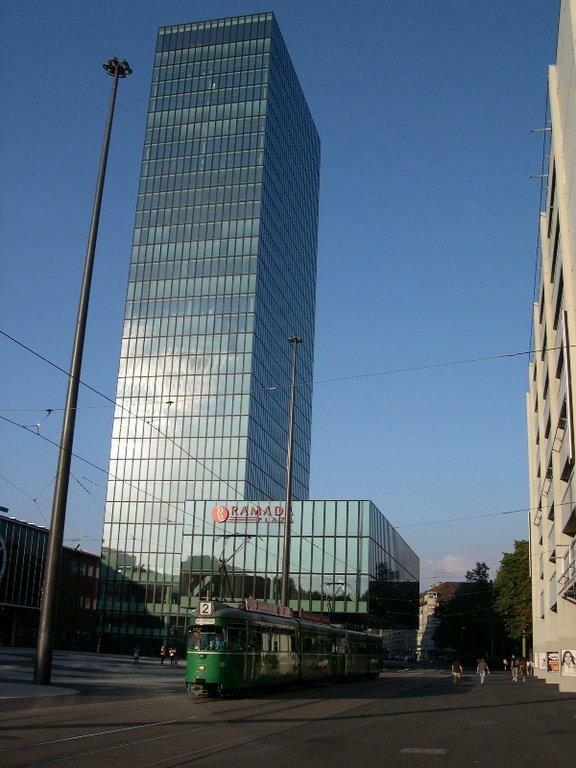 The conference was hosted in the Ramada Hotel in Basel: a great location for such an event ! After having briefed the judges about the rules and the ranking criteria for the contest, I attended both the German and French table topics contest, and one of the the English humorous speech contest semi-final. Finally, on Friday, the District Executive Committee Meeting (DECM) took place. This meeting gathered all Toastmasters Area, Division and District governors to present the progress made by the district towards its goals fixed at the beginning of the year. From my perspective, the Area I supervise (F1) contributed to the general progress, as a new club was is being chartered in Stuttgart, which is excellent news for all Stuttgarters. It was definitely an exciting experience to see how structured the success plan of the district is and also to see that it is executed in a fairly disciplined manner. All aspects of the plan were addressed : club and membership growth, educational achievements of the members, organization of the district conference and financial status. Although all people who contribute are completely benevolent, a lot of time and energy is put inside this organization. On Saturday, Ted Corcoran, an Irishman, former Toastmasters International President, gave a very good keynote speech about leadership by stating ten skills leaders show (for example “take responsibility”, “be proactive”, etc.). Although these presentations may look repetitive, their core message is still important and the delivery of the one-hour speech was impeccable. I then attended the German humorous speech contest (yes, these two things are compatible ! ), the English table topics contest, as well as the finals for humorous speeches. The table topic, an impromptu speech usually to answer a question, was this time very original. The table topics master gave an egg to the speaker, who had to make a one-to-two minutes speech out of it. The result was very different from speaker to speaker and it was fun to watch. The last contest was the humorous speech contest. As expected, the level of the speeches was excellent. The winner deserved her title and although some speeches were funnier than others, all participants deserved their applauds. The organization of the conference must have been a huge work for the organizers. I contributed a bit by volunteering as a chief judge, but the task of managing this whole convention must have been a herculean task. The organization team can be proud of themselves ! For the future, from a personal perspective, I would like to contribute to the success of the district by taking over a role in the district team, for instance as Lieutenant Governor Marketing. Growth is something I am fascinated by and I would like to help extending the network of clubs all across Europe. The next district conference will take place in Spring, in Poznan, Poland. The evaluations and International speech contest will be held there. I am confident that I will have achieved all the goals set for my Area for this Toastmasters year (June 2011-May 2012) until then. Also, I looking forward to go for the first time in Poland and to participate to the growth of Toastmasters in continental Europe ! This entry was posted in Leadership, Toastmasters and tagged Leadership, Toastmasters on November 29, 2011 by Hervé.